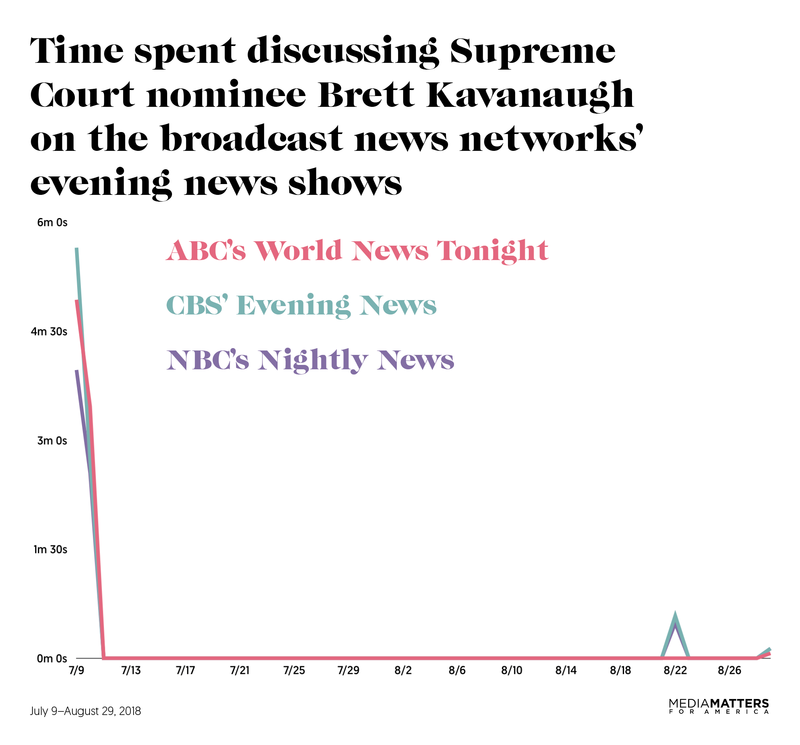 After their initial coverage on July 9 and 10 of President Donald Trump naming Judge Brett Kavanaugh as his Supreme Court nominee, the three major broadcast network evening news shows discussed Kavanaugh for a total of less than two minutes. Kavanaugh is an “uncommonly partisan judge” and has the lowest public approval (37 percent) of any Supreme Court nominee since Robert Bork, whose nomination by President Ronald Reagan was shot down by the Senate. Women in particular oppose Kavanaugh’s nomination given his very real threat to established reproductive rights. But after July 10, the evening news shows of ABC, CBS, and NBC each spent only a handful of seconds even mentioning Kavanaugh. ABC’s World News Tonight, CBS’ Evening News, and NBC’s Nightly News all had segments about Kavanaugh’s nomination (such as this one from CBS) on July 9 and 10, the day and day after he was nominated. Since then, they have gone virtually silent on the topic. There has been no substantive coverage of Kavanaugh on these shows since July 10. 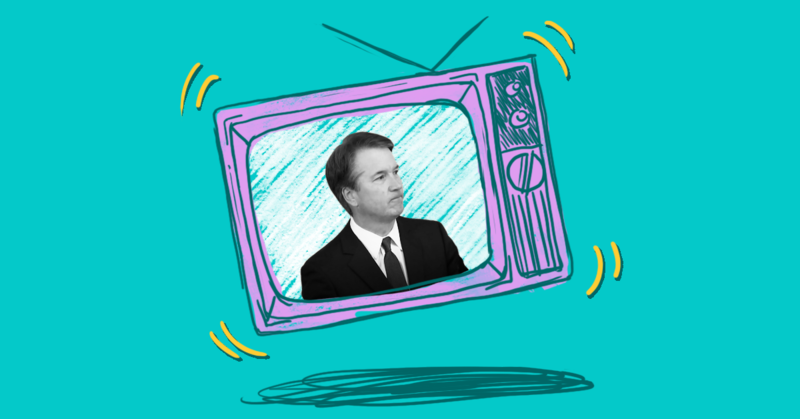 The only mentions of Kavanaugh at all have come during two stories: reports on Trump lawyer Michael Cohen’s guilty plea and Democrats’ subsequent demand that Kavanaugh’s confirmation process be delayed or halted due to alleged criminality by the president, and coverage of Trump’s tweet about White House counsel Don McGahn’s upcoming departure, which mentioned that he would stay on through the end of Kavanaugh’s confirmation process.